Next time you fire up the grill, don’t forget the veggies. 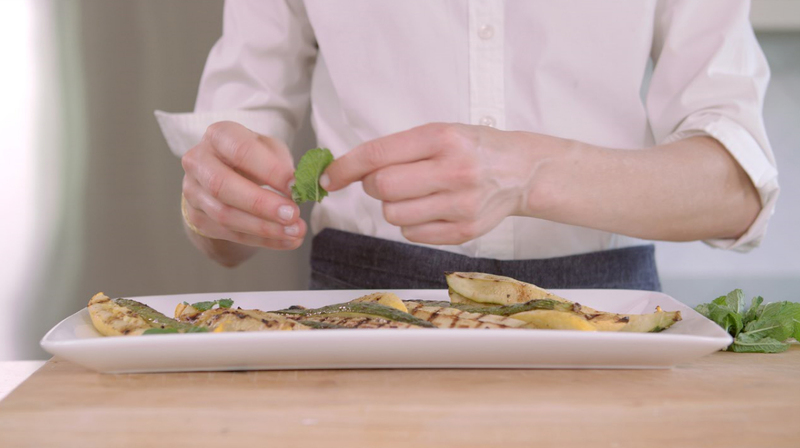 Gena Knox, founder of the Athens, Ga.-based barbecue and grilling company Fire & Flavor, shares the perfect way to prepare vegetables on the side while grilling the main entree. To top off the dish for a crowd, Knox suggests pairing the side with grilled chicken and arranging the vegetables over a large platter of a grain like couscous, garnished with mint and crumbled feta. 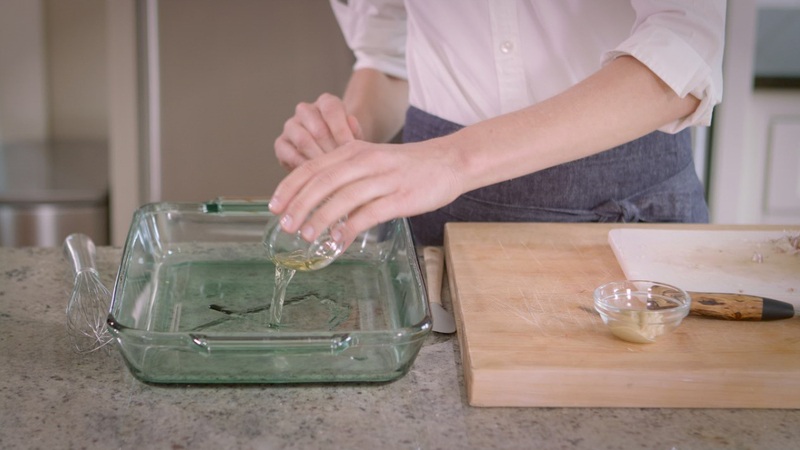 In a large bowl, whisk together vinegar, mustard, shallots and oil. Season with salt and freshly ground black pepper. Reserve 2 tablespoons of marinade. Toss zucchini and squash in dressing and marinate for 15 minutes, tossing halfway through. Preheat the grill on medium-high heat (about 350-400°F), then clean and oil grates as needed. 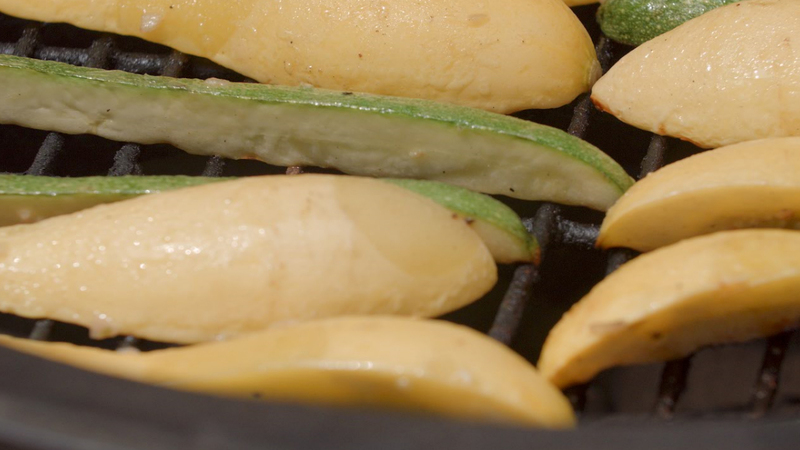 Place vegetables on the grill, cut side down. Close the lid and cook for about 5 minutes or until slightly charred. Using tongs, flip vegetables and continue cooking an additional 5 minutes or until tender. Remove from grill, arrange on a platter and drizzle with remaining 2 tablespoons of marinade. Coarsely chop mint and garnish as needed. Summer is the time for barbecued meals and backyard parties, but breaking away from same-old grilled dishes to try new recipes isn’t always easy. For Gena Knox, founder of the Athens, Ga.-based barbecue and grilling company Fire & Flavor, the key to successfully experimenting with a new grilled dish is finding a perfect combination of flavor and simplicity. Coming up with a creative dinner can be tricky, especially at the end of a busy day. But this recipe from Gena Knox, founder of the Athens, Ga.-based barbecue and grilling company Fire & Flavor, will have you ringing the dinner bell in less than an hour. Summer’s here, so it’s time to light up the grill. Gena Knox, who founded Athens, Ga.-based barbecue and grilling company Fire & Flavor, shares a trick to add moisture and flavor to our favorite main course: chicken.